Action needed to save NY’s Mute Swans – Contact Gov. Cuomo TODAY! Visit GooseWatch NYC for more information. Is this email not displaying correctly? Animal advocates have worked with the State Legislature to pass S6589/A8790 sponsored by Sen. Tony Avella and Assemblyman Steven Cymbrowitz this session to mandate a moratorium on Mute Swan eradication plan proposed by the DEC earlier this year. S6589/A8790 will establish a two-year moratorium on the DEC’s plan to declare mute swans a prohibited species and eradicate mute swans throughout the state by 2025. 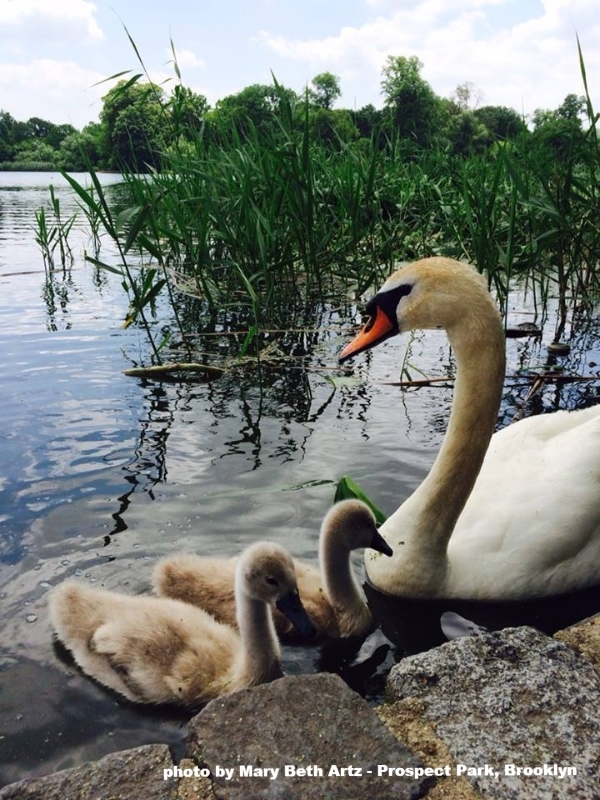 The bill will also require DEC to demonstrate the alleged damage caused by mute swans. This bill not only passed the State Senate unanimously, but it has also strong support among the public, who want to see NY’s mute swans protected. The DEC’s initial draft management plan was met with widespread opposition, a revision was expected this past spring but the DEC has not moved forward yet. Procedurally, the bill must be sent from the office of the NYS Assembly to the Governor’s office upon request from the governor for bills of that type. The Governor need not request these bills until December if he is so inclined. We cannot tolerate this kind of delay. We must continue to barrage the governor’s office with demands the he request these bills now! This entry was posted in WetLands by James BirdMan Cataldi. Bookmark the permalink.